Embroidered surface size: 19*18CM (7.48*7''). Embroidered cloth cutting size: 29*28CM (11.4*11''). Kit contains 82*77 Grids, 11-count linen Aida, needles and simple instructions. Easy to follow instructions. Everything you will need is included in your kit. Act now! You will enjoy it! It also adds decorative stitched accents for the home. Create one as a perfect gift for the people you loved and cared. Ships from Hong Kong. 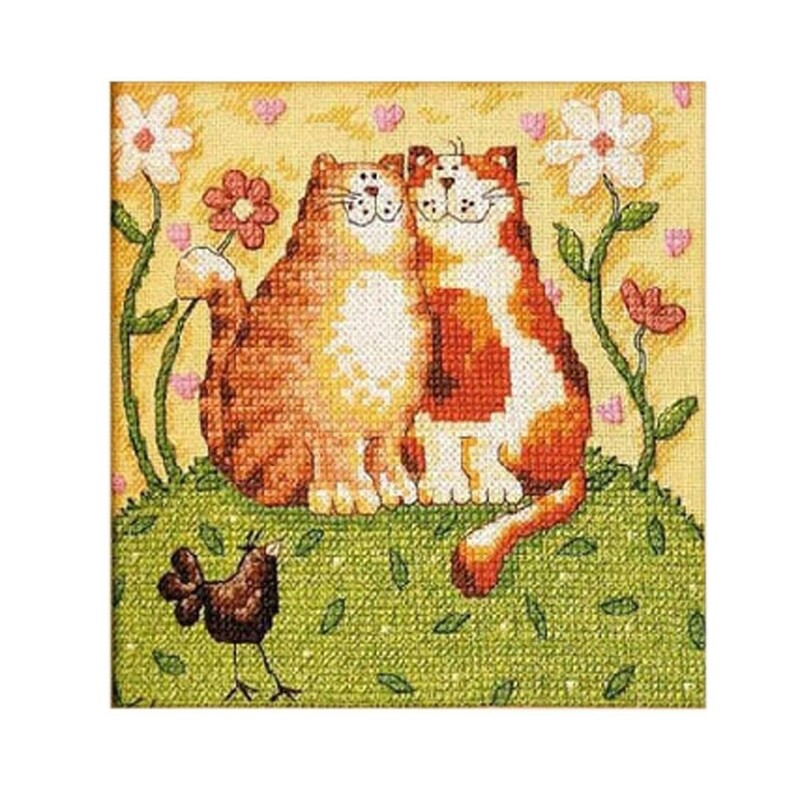 This beautiful cross-stitch knit is with stylish design. The cross-stitch DMC is sufficient and with high quality. Kit contains 82*77 Grids, 11-count cotton Aida, needles and simple instructions. And it is suitable for 3 embroidery threads when you do the needling. Create a beautiful embroidery by yourself. You will have more fun during the needling. It is a perfet DIY gift for your loved one. And it is also a great DIY decoration for your room or kids room.